Home / Prayer & Devotion / Rosaries & Chaplets / Beautiful Blue Wrap-Around-a-Rosary. 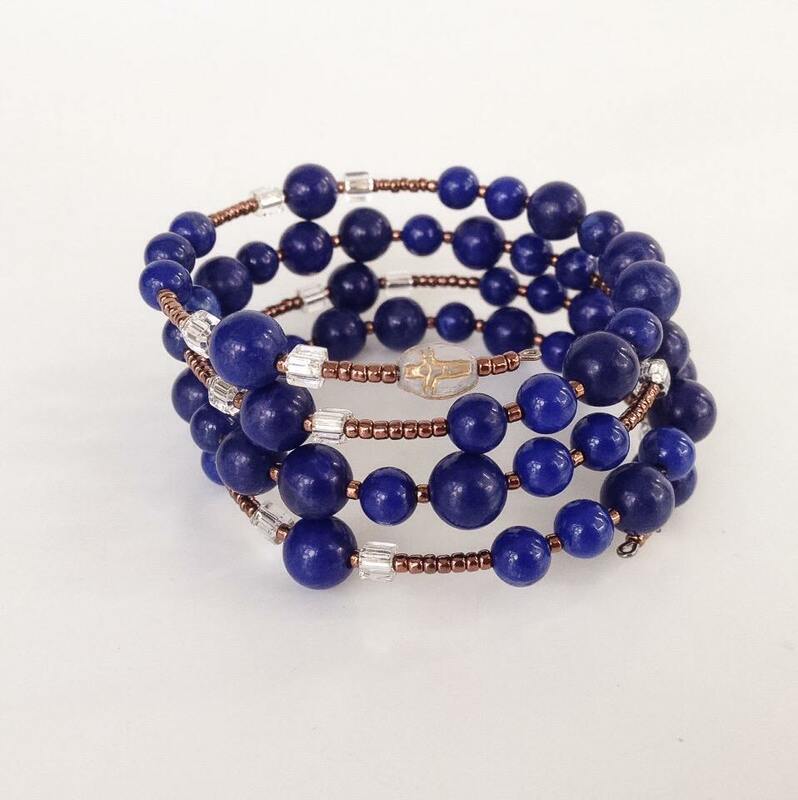 Catholic five decade rosary bracelet with cobalt blue beads. 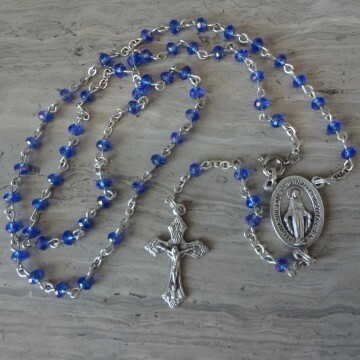 Beautiful Blue Wrap-Around-a-Rosary. Catholic five decade rosary bracelet with cobalt blue beads. A glass bead with gold crucifix imprinted on it begins the rosary. 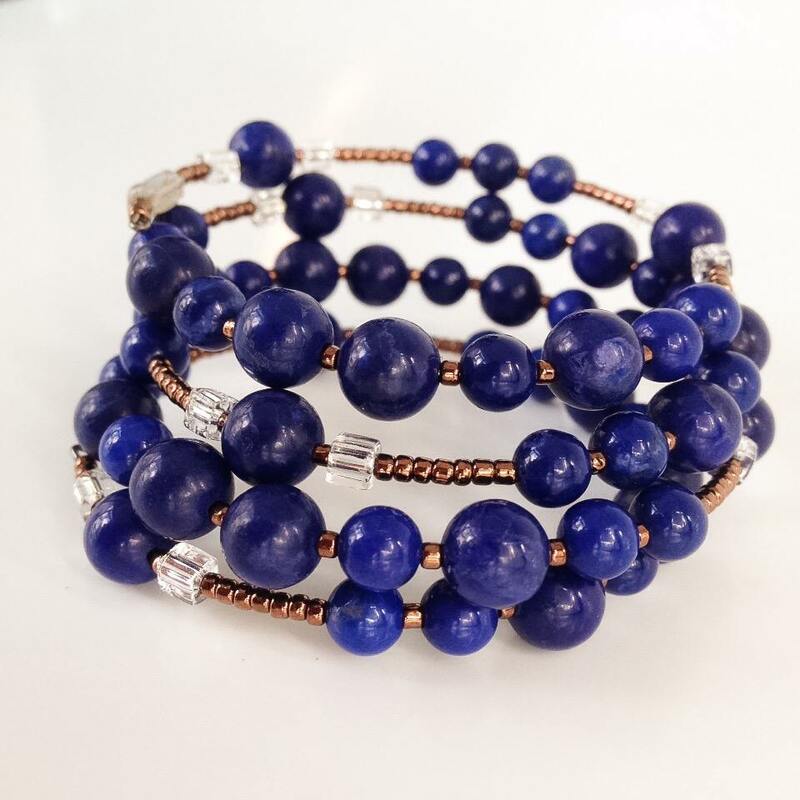 This rosary uses beautiful opaque beads in a bold, cobalt blue color. 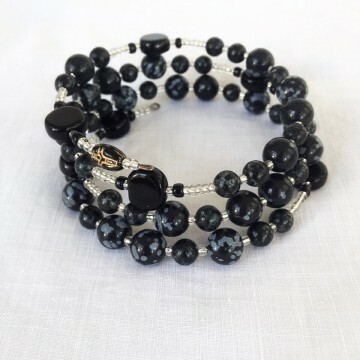 Separating the 6mm and 8mm beads are bronze seed beads and the Our Father beads are also set apart by silver-lined clear beads on either side. The cross is a milky, white transparent glass bead with a gold crucifix stamped on it. 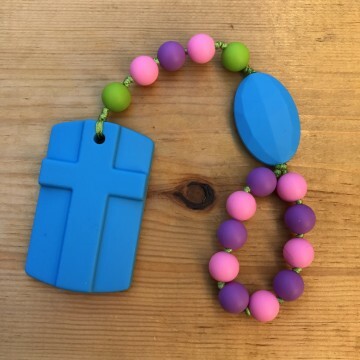 The Wrap-Around-a-Rosary was created to fill two specific needs. 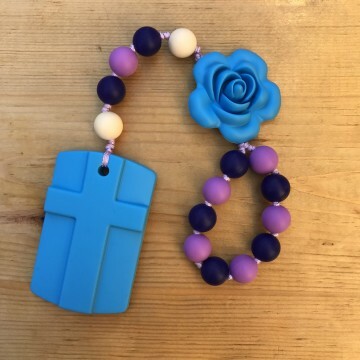 If women today are going to maintain a devotion to the rosary they need something accessible, not tucked in the glove box or shoved in the bottom of an overcrowded purse. Also, in an age of mass-produced trinkets, women need reasonably priced but still beautiful devotional pieces. 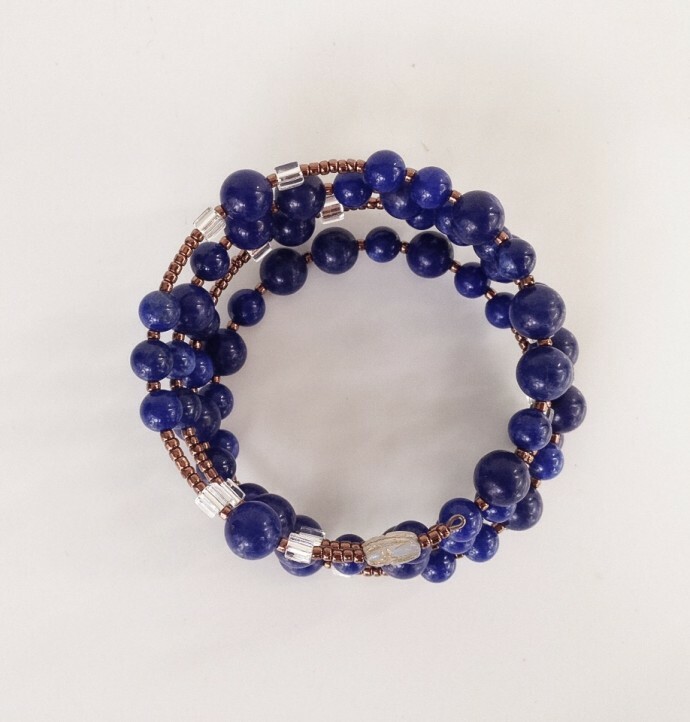 All of the adult bracelets are strung on 2 1/4″ memory wire and wrap 2 ½ to 5 times around, depending on the size of beads and design. Memory wire can be “stretched” if too tight by gently unbending the bracelet, a little at a time, all the way around its length. Most of my business remains special orders. If you don’t see what you like or have something special in mind just email. Favorite colors, birthstones, and wedding party color schemes are all request I have had in the past.